Long Term Care has been defined as "medically necessary assistance, recommended by a physician for the treatment of a chronic illness or debilitating injury on a long term basis. Recovery is usually not expected. Care is oriented toward helping a person function, not toward a cure." 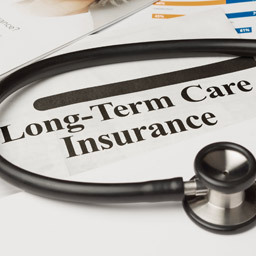 Long term care is typically not covered by your health plan, disability coverage or Medicare. Medicaid does cover long-term care, but only after you have used up your assets paying for care.